Our favorite songs by the original Idol and pop diva Kelly Clarkson. "MEANING OF LIFE" is the album Kelly Clarkson was destined to make with Atlantic Records, a collection of smart and sensual soul-inspired pop that immediately belongs among the legendary label's classic canon. For her eighth studio album - and follow-up to 2015's chart-topping "PIECE BY PIECE" - Clarkson united a stellar team of top songwriters and producers to collaborate on her Atlantic debut, among them past collaborators Jason Halbert, Jesse Shatkin and GRAMMY® Award-winning "Producer of the Year" Greg Kurstin as well as first time collaborators Mick Schultz, The Monarch and Nick Ruth among others. 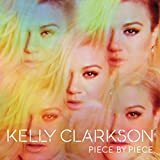 Kelly's new single, "Catch My Breath" is co-written by Clarkson, Jason Halbert and Eric Olson. She states, "This song represents who I've been, what I've felt, and where I'm headed as not only an artist but as a 30 year old that is now smart enough to know that it's time to stop, catch my breath, and be proud of not only what has been accomplished but of all the people that have helped me become the woman I am today." 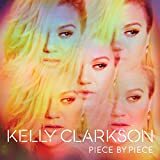 Kelly Clarkson announced the release date of Piece By Piece, her sixth studio album and follow-up to 2011's Stronger. The new LP, which was preceded by the single "Heartbeat Song," is due out March 3 on RCA Records. Piece By Piece is Clarkson's first album in over three years, although the former American Idol champ has been busy in the interim: 2012 brought a best-of compilation, Greatest Hits - Chapter One, while the following year included the release of Clarkson's first holiday album, Wrapped In Red. Clarkson also became a mom since her last official album, giving birth to River Rose last June. "Heartbeat Song" debuted at No. 37 on last week's Hot 100 chart, The new single scored the third-best Hot 100 debut of Clarkson's 25 career entries. Deluxe Edition includes four bonus tracks. 2011 release, the fifth album from the international Pop icon and winner of the first ever American Idol. The vibrant, musically diverse Stronger (which Clarkson says was influenced by Tina Turner, Prince, Sheryl Crow, and Radiohead) will thrill those who love Clarkson for her resilience. Clarkson co-wrote five tracks on Stronger, a process she feels is therapeutic and the first single off the new album is "Mr. Know It All". Kelly Clarkson has sold over 20 million albums worldwide (including 10 million in the U.S.) and notching seven singles on the Top 10 on the Billboard Hot 100 chart. Grammy Award winner and multi-platinum recording artist Kelly Clarkson is set to release her first Christmas album, Wrapped in Red on October 29th. The album will feature brand new instant classics such as the first single, Underneath The Tree, and title track, Wrapped In Red as well as Christmas favorites, Have Yourself A Merry Little Christmas , Blue Christmas , Run Run Rudolph, Please Come Home For Christmas and many more. The full track listing will be announced soon. The album's first single, "Underneath The Tree," was written by Kelly and hit songwriter/producer Greg Kurstin as well as produced by Kurstin. Kelly enlisted Kurstin who was one of her partner's on the Grammy Award winning album Stronger. Together, Kelly and Greg bring a fresh, contemporary sound to this new holiday music ensuring the songs are big hits and evergreen holiday favorites. As Kelly prepares the worldwide release of her new album, she's riding another hit single and video, 'Breakaway,' which is quickly becoming one of the hottest songs at radio for the fall of 2004, as well as the setup track for this new record. 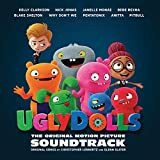 With contributions from some of the biggest producers in music today (John Shanks, Max Martin, Clif Magness, Ben Moody), Kelly's new record will further broaden her base as a worldwide pop star. The publicity campaign surrounding the launch of this album, one of the most anticipated pop events of the year, will see Kelly everywhere leading into this holiday season. One of the most heralded voices in pop, Kelly Clarkson returns to reclaim her place at the top of the music scene with her new album My December. With every song on the record written or co-written by Kelly herself, My December is Clarkson's most personal record to date and shows tremendous growth as an artist. Going in a harder-hitting direction, the first single off the album, "Never Again," is all-attitude lyrics, edgy guitars and soaring vocals. And that's only one of the thirteen new tracks that showcase the sheer excellence of Kelly's artistic depth.